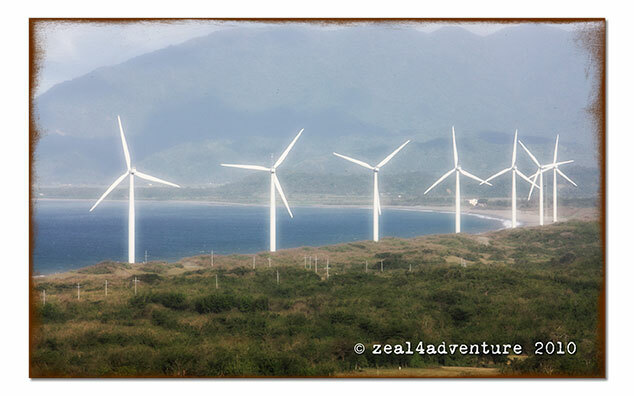 15 wind turbines arranged in a row on the shore of Bangui Bay facing South China Sea. 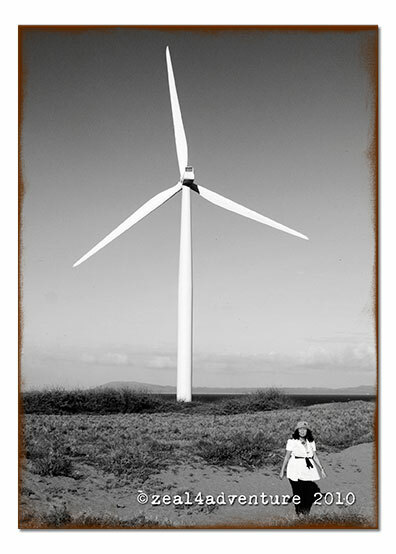 our smallness so apparent against its imposing structure. 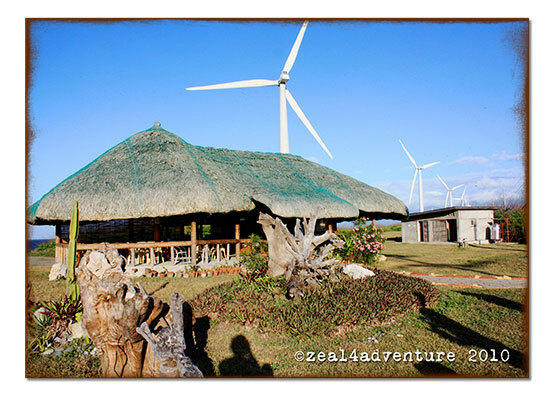 It is the 1st “wind farm” project in the Philippines owing to the poor quality of power supplied to Ilocos Norte by the National Power Corporation back in the late ‘90s. 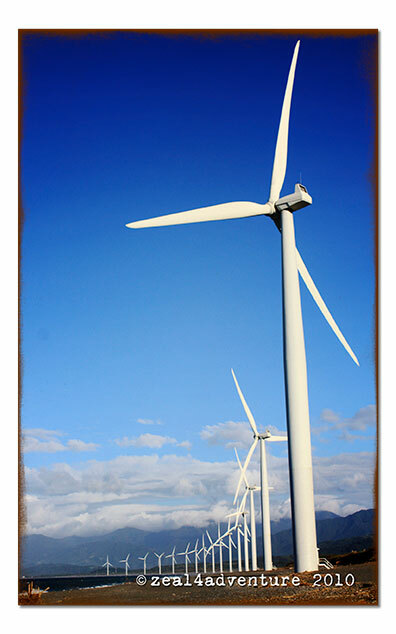 Built by the Northwind Power Development Corporation and inaugurated in 2005, this project provides 40% of the power requirement of Ilocos Norte today. 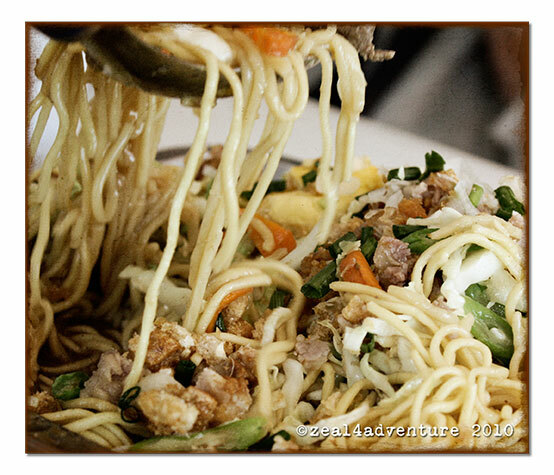 It is also considered the biggest in Southeast Asia. 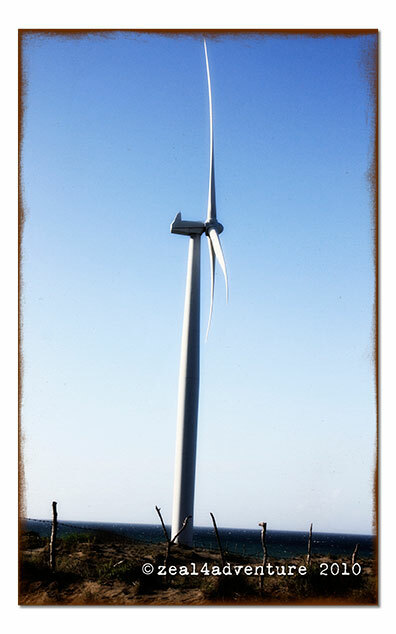 A sight one must see in person to experience first hand its grandness. Before heading to our final destination for day 1, which is our resort, we saw signs that points to Kang Kang Windmill Café. Curious and at the same time badly in need of some caffeine in our veins, we had a go at it. 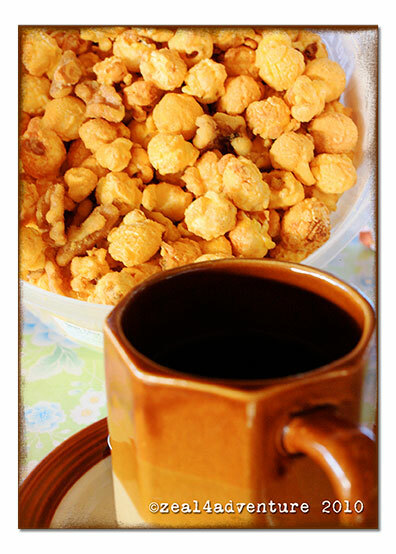 Best with Chef Tony’s Belgian Butter Honey Roasted Popcorn… heavenly! 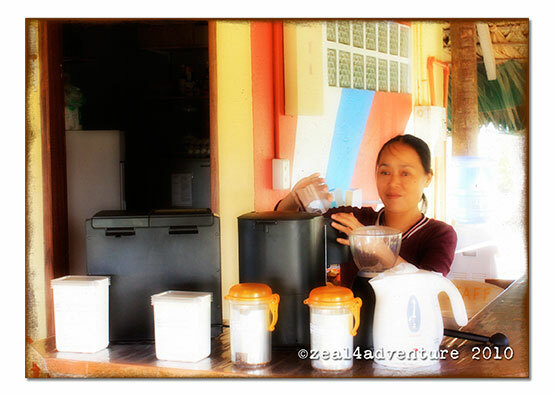 Curiosity has its rewards – freshly brewed Kalinga coffee in a small café named after their small sitio… our 3rd best find of the day! Click on the icon for more scenic scenes from around the world. 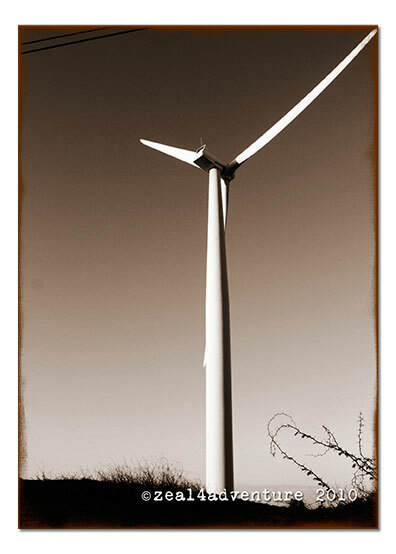 Cool photos of the windfarm. They actually look kind of neat along the coastline. Thanks for sharing part of your trip. You have some amazing composition going on in these photos! Very impressive! 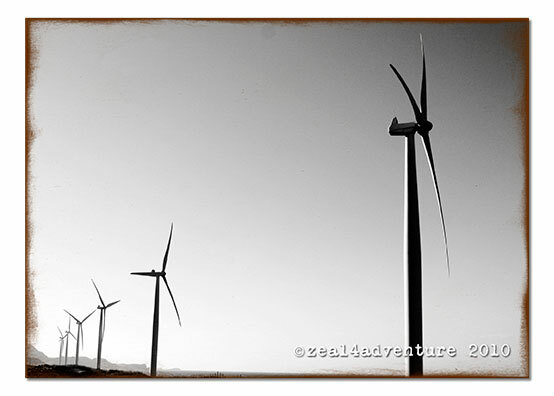 I have not seen the windmills in person yet, but even in pictures they’re just so awesome! 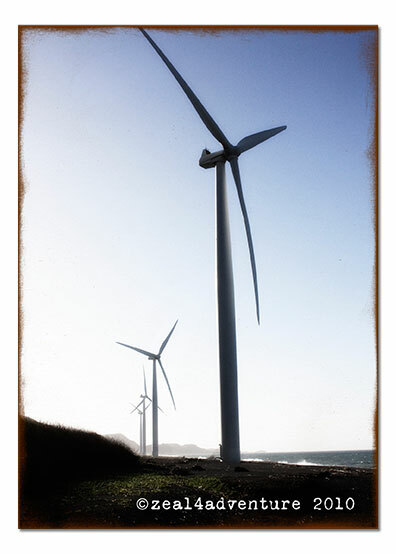 We could use with more wind farms just about now with all the rotating brownouts scheduled this summer. 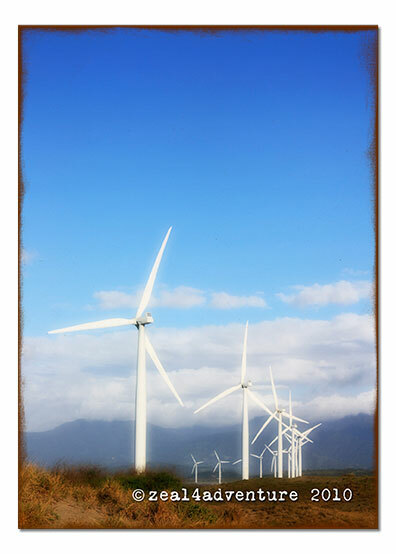 I would love to see those windmills in person!